The process for preparing your outdoor pond or water feature for the long and cold Connecticut and New York winter season should begin in the months of September and October. 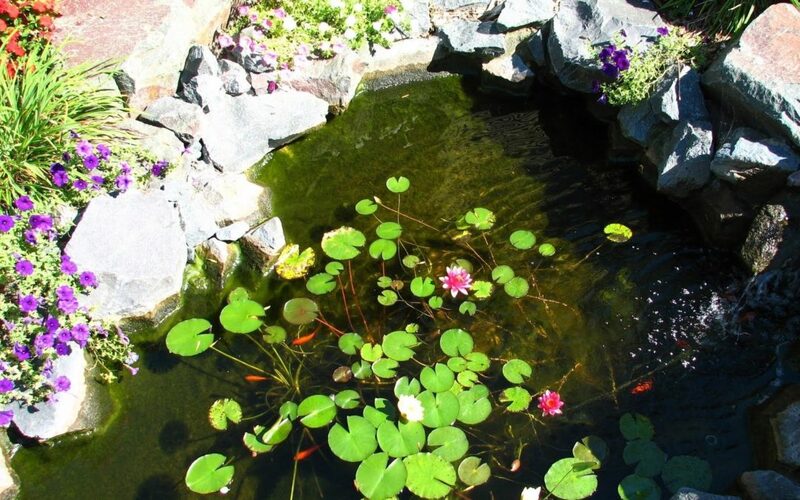 Normal Aquatics offers pond winterization services that will make the necessary preparations for your pond as it is heading into some of the harshest weather and outdoor conditions of the year. Your pond or aquatic landscape will have to endure high winds blowing dirt, debris, and all sorts of materials into your pond, as well as falling leaves, snowfall, ice storms, sub-zero conditions, and fish kills. Based in Fairfield County, Connecticut and serving pond and water feature owners throughout Massachusetts, New York, and New Jersey, Normal Aquatics has the experience and capabilities to successfully winterize your outdoor pond, so that it will be protected through the winter season and you can fully enjoy your water feature come spring season. Here are a few of the basic measures that Normal Aquatics will perform when winterizing your pond or water garden. Remove any plants tropical plants that are floating on pond surface. For any homeowner or business owner who wants to maintain a healthy and beautiful pond for their property, hiring a professional pond services company is necessary. is a necessity Since 1999, Normal Aquatics has been providing professional pond construction and maintenance services in Connecticut, New York, Massachusetts, and New Jersey, We have the necessary experience, man-power, equipment, passion, and creativity to design, build, and help maintain both large and small ponds successfully. Contact us today to schedule your no-cost estimate and consultation!